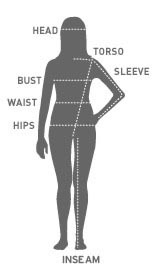 This sizing guide is for generic measurements as each brand is slightly different. Always check the sizing guide in the respective online catalog or call us for more detailed information. Also, please remember that cotton garments may shrink and is better to err on a larger size to compensate. Chest: Keeping your arms relaxed at your sides, measure under your arms at the armpits. Include the highest part of your chest and shoulder blades. Neck: Measure around the base of your neck. 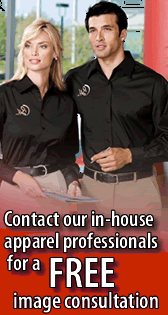 Or, simply find a collared shirt that fits you well. Lay the collar flat, and measure from the middle of the collar button around to the far end of the button hole. Waist: Measure at your natural waistline, where your belt normally rests. Inseam: Take a pair of pants that fit you well and measure along the seam from the crotch to the bottom of the leg.